A couple months ago, I thought it might be rather unique to make a pumpkin harvest card using AJVD's "Grandma's Garden Quilt" Die. This past weekend, I finally had the chance to try to execute it. Kecia Waters on the blog today. 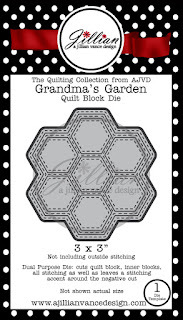 Using a scrap piece of orange patterned paper, I cut the hexagons with "Grandma's Garden Quilt Die". I sponged Distress Ink Wild Honey and Distress Ink Walnut Stain around the edges of the hexagon pieces. I then adhered all of the pieces onto a white panel of cardstock. 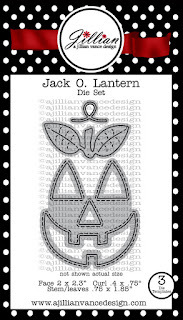 Using the "Jack O. Lantern" die set, I cut the stem from a scrap piece of green patterned paper. I sponged some Distress Ink Peeled Paint around the edges and adhered to my "pumpkin". 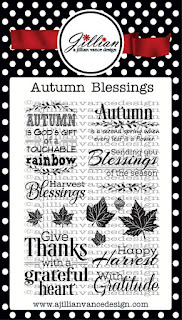 I then stamped the sentiment from the stamp set "Autumn Blessings" with Distress Ink Walnut Stain. 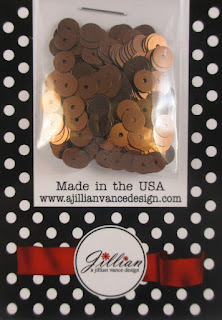 Three "Oil Rubbed Bronze Satin Sequins" complete the details of this card. The white cardstock panel is framed with kraft cardstock. Thank you so much for joining us today on the AJVD blog. We appreciate it!